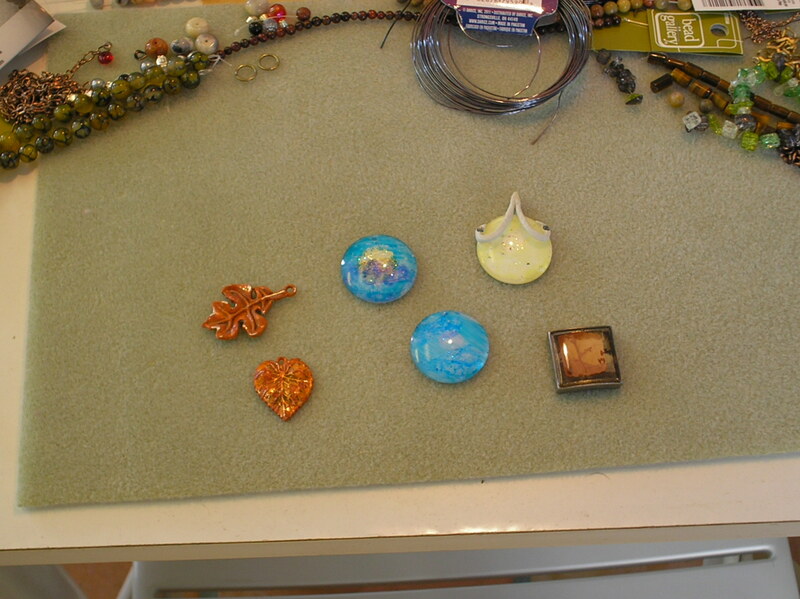 What’s on Your Craft Bench? I thought I’d take a moment to share some of the of the things I’ve been working on and invite you to share your own projects. Lately, I’ve been in jewelry mode. 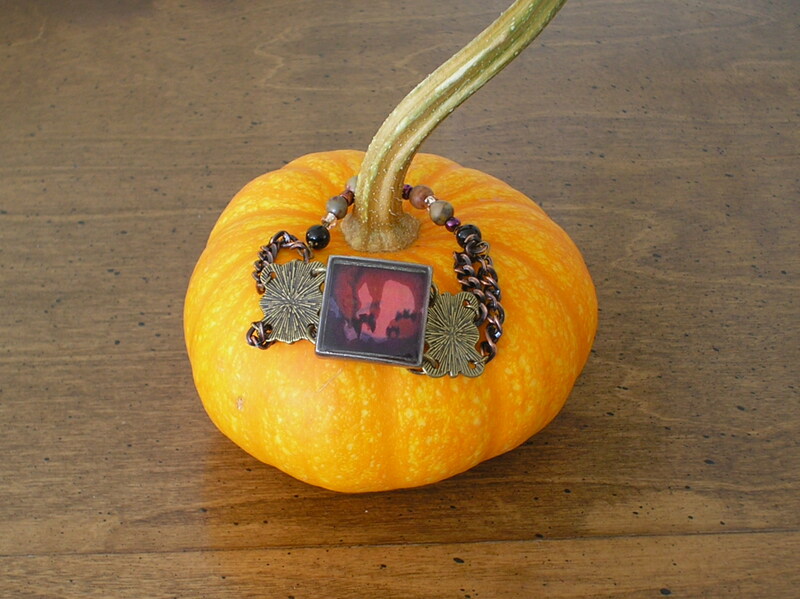 I decided to create some resin pendants using Halloween-themed pictures I drew a few years ago. It’s fun to take the original illustration and use photo editing to apply different techniques–each pendant comes out unique! Just to show the difference, here is a picture of bats flying with the moon in the background. But in one version the moon seems to be bleeding (and has an extra bat), the other (in the picture below) is more sepia toned. I reverse-painted some clear pendants and ended up with some really neat effects! 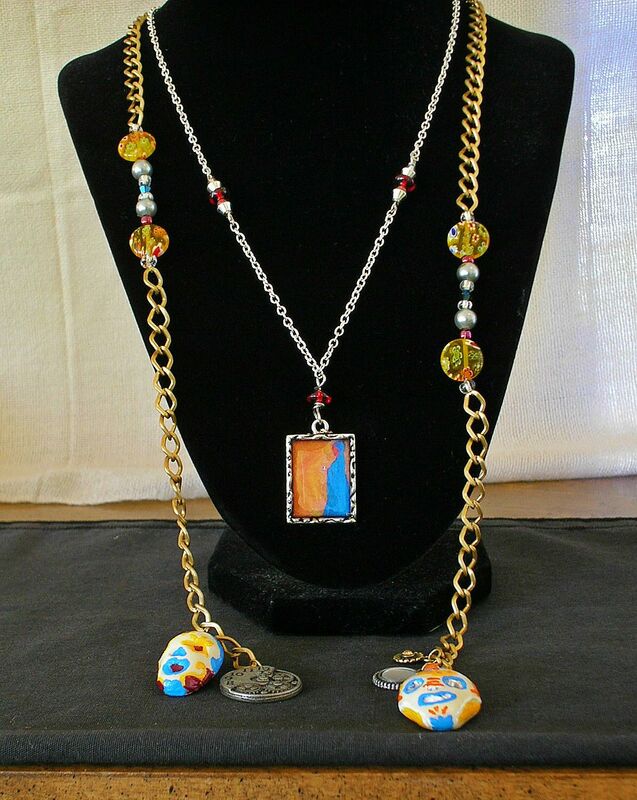 I especially like the blue one (in the picture here), but there was a lovely, shimmering lilac colored pendant that became the focal for this necklace. I’ll be adding the finished projects to my shop as I go along. I just recently added these two. One is original artwork in resin, the other is a Dia De Los Muertos lariat necklace featuring hand-formed and hand painted clay skulls. So, that’s what’s on my bench right now–what’s on your bench? Are you making crafts for Halloween or stitching gifts for Christmas? Are you trying something new? Do you have a craft to share? Let us know!